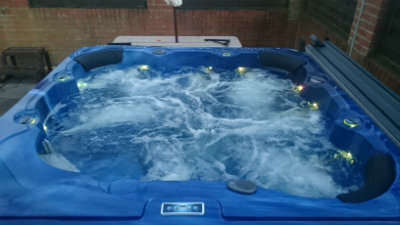 We upgraded our spa from an inflatable to the real thing last year to help with mine and my husbands collective back ache. 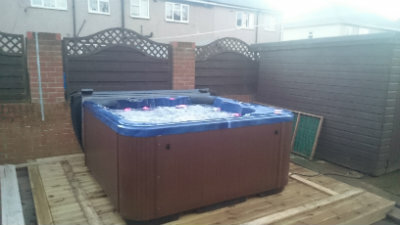 Along with health benefits, the hot tub has been fantastic both socially and mentally. We sit in the hot tub with no distractions, we relax, chat & refresh . 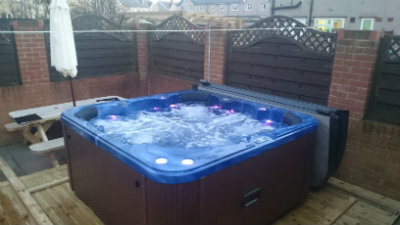 The hot tubs is used every day & afterwards we feel so good & the hot tub has really helped our aches and pains. Susan ordered the Baron 13amp hot tub in Mosaic Blue with an Oak Brown cabinet.